This artisan soap, hand made in Stoneybatter, Dublin 7, contains over 50% premium ingredients sourced locally. These include organic herbs grown on kitchen waste in the Sitric Compost Community Garden and oils discarded in local food production. The soap is available in small sample bars,100 gram bath bars and selection boxes wrapped for gift giving. In 2014 year we developed a special range of products to support desireland’s Year of the Bee 2015, a year long project providing technical training in beekeeping, a programme of citizen science that will collect local data on all pollinating insects in collaboration with the National Biodiversity Data Centre and art and education programme that will explore how bees can inform the way we live in cities through six urban themes: home, communication, navigation, food/foraging, health and the commons. 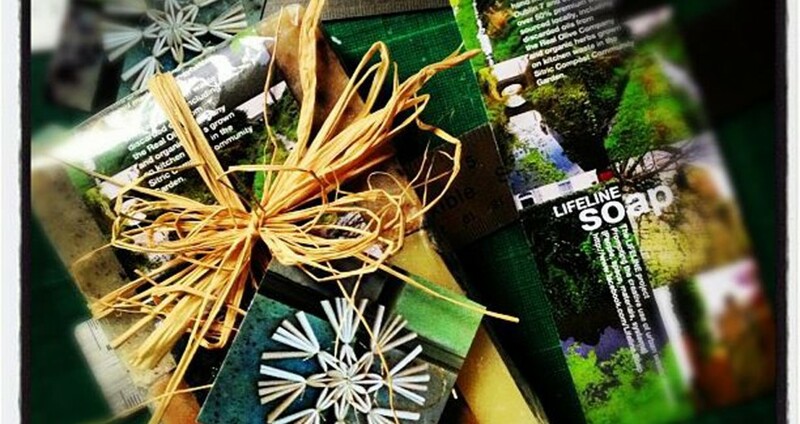 The Bí range contains the unique local ingredients of Lifeline Soap as well as the special healing properties of honey, propolis and bee pollen and is enriched with Shea butter. 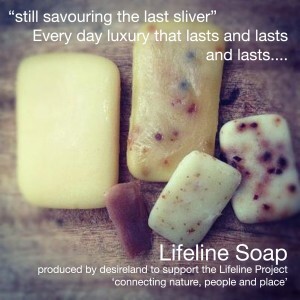 Lifeline Soap can be bought direct from us at desireland events and in our local health food emporium: MANOR HEALTH, 4 Manor Street, Stoneybatter, Dublin 7. We looking forward to meeting you in person at one of local events and sharing our grand ambition to bring the North West Inner city into a productive partnership with nature, one project at a time.